Central Organics Celebrates Anniversary with BBQ & Live Music! 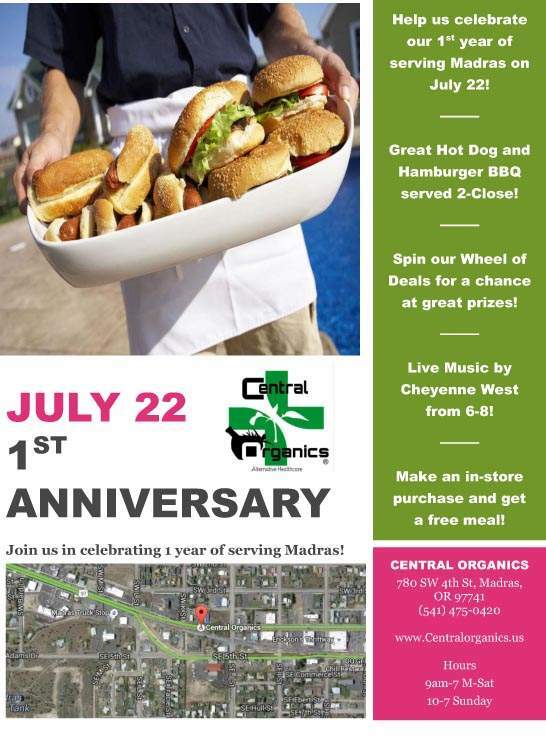 Central Organics, Madras’ premier organic cannabis dispensary, is having a Bar-B-Que on Friday, July 22nd to celebrate their one year anniversary in business. The festivities start at 2pm and go until 8pm. Shawna and Michael Boynton, who also own Madras Garden Supply, are the proprietors of Central Organics which is located at 480 SW 4th St. One of 5 dispensaries now open in the small community, Central Organics strives to have quality strains at affordable prices and from local sources. 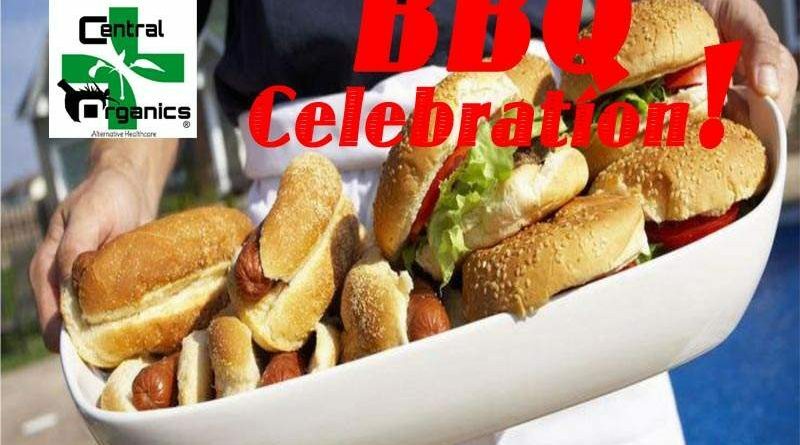 Their celebration will feature Bar-B-Que hot dogs and hamburgers, which are offered free with any in-store purchase! They will have prize giveaways with a spin of the Wheel-of-Deals and music by local country artist Cheyenne West performing live from 6 to 8pm.